Choosing a PPC agency can be nervy because you’re putting ad budget on the line from day one. It’s important you choose an agency that’s going to get results – within budget and in a reasonable time-frame – but this is easier said than done. The good news is we’ve got ten of the best PPC and remarketing agencies for you in this article. We’ve got full-service agencies that can provide every marketing strategy you need and pure PPC specialists in here – all of which are highly regarded, award-winning agencies in their niche. Absolute Digital Media is a full-service digital marketing agency based in Chelmsford, Essex. The company specialises in SEO, PPC, content marketing, social media, web design and development – just about everything a modern brand needs to maximise visibility. Absolute’s approach is to find the right mix of marketing channels and integrate them into a single strategy, based on the unique needs of each client – a mix of B2B and B2C ventures across the UK and overseas. The company has plenty of awards to brag about, particularly in the search and social advertising departments – just what you want from any PPC specialist. Directive calls itself a “PPC agency for B2B and enterprise companies”. Based in the US, this highly-specialised agency also has offices in London and works with major B2B brands such as Cisco, Allstate, Samsung SDS, Cherwell and WestRock. Directive says it spends 89% more hours on its clients’ PPC accounts compared to the average PPC agency. It also claims to increase leads by 84% on average by optimising accounts without increasing ad spend. While the company clearly defines itself as a PPC specialist – rather than a full-service digital agency – conversion rate optimisation (CRO) is deeply embedded in everything it does. For enterprise B2B brands looking for a specialist PPC agency to handle paid advertising, Directive is the first number to call. Greenlight Digital is another full-service marketing agency in the UK, this time based in London. Search marketing quite literally tops the list of services on its website, though. SEO and Paid search & shopping are the top two of thirteen different services listed on its site. Greenlight also offers conversion optimisation, content marketing, social media, analytics and various other services. The company’s list of clients has a strong B2C profile with major brands including GHD, Dixons Carphone, Furniture Village, FootAsylum and Laura Ashley. Its awards cabinet must be running out of space by now, as well. And, judging by its list of international clients across more than 30 countries, it must be doing something right. Loud Mouth Media is a highly-rated agency and winner of the “Best Small PPC Agency in the UK” award for 2017 and 2018 at the UK Search Awards. Only time will tell if the Belfast-based agency can make it three years in a row when award season 2019 comes around. Considering the company was only founded in 2011, its reputation is all the more impressive. The agency says 90% of its business is inbound, thanks to “a reputation built on fantastic results and happy clients”. Loud Mouth Media is a small business PPC specialist that provides a comprehensive service including social advertising and SEO campaign management. If you’re an SME in the UK looking for a specialist PPC agency, get in touch with Loud Mouth Media. Soap Media is a full service digital marketing agency based in Preston with offices also in Manchester. The company aims to be the only agency you’ll ever need by providing comprehensive services within research and planning, design and development, digital marketing and paid advertising. Soap Media’s clients include Money Supermarket, AA Tyres, American Golf, Booths and many more. The company takes a highly strategic approach to integrating every marketing channel and extensive audience research is a huge part of everything it does. Don’t be put off by the fact Soap Media is a full service agency; it’s highly regarding in the paid advertising field and rated as one of the top PPC management agencies in the UK for 2019 by Clutch. Precis Digital is a data-driven marketing agency with offices in Sweden, Norway, Denmark and the UK. Paid advertising and search optimisation are key priorities for the agency and you’ll also notice analytics, measurement and data science are deeply involved, every step of the way. Precis’ clients include NA-KD, L’Oreal, HBO Europe, Klarna, TUI, Bauhaus and PriceRunner. The company also has 20 awards to its name and it enjoyed a particularly strong couple of years in 2017 and 2018 at the European Search Awards, The Drum Search Awards and The Search Engine Land Awards. Its data-driven philosophy isn’t for show, either. Precis has developed its own optimisation suite, analysis platform, custom algorithms and a dozen of software solutions to power its PPC efforts and other marketing strategies. Optimum Click is a specialist PPC agency based in Manchester that promises to get results in the first three months of working with clients. If you don’t see a 20% increase in revenue during that time, Optimum Click has a 100% money-back guarantee – not that the company expects to reimburse clients. Based on the reviews we’ve found, Optimum Click delivers on its promise. Clients report impressive results within the first few months and some report almost-instant improvements. This might explain the agency’s Certificate of Excellence 2019 at Bark.com. But it also speaks of Optimum Click’s transparency, reporting and how closely it works with its clients to make sure they know exactly what’s going on with their PPC accounts and what results they’re getting. It can be hard to find PPC specialists these days because most agencies offer the full service marketing package. That’s why articles like this help so much but PPC Geeks doesn’t leave you guessing with a name like that. PPC Geeks is a paid advertising specialist and that’s all it sells itself as, promising to “grow your business with better PPC”. It mostly works with SMEs but there’s a good mix of B2B and B2C businesses on its list of clients. 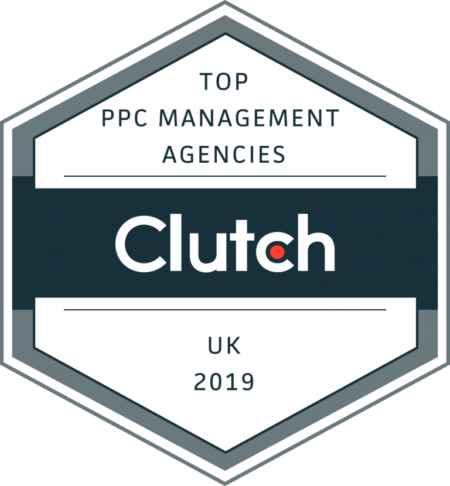 The company is listed as one of the Top Advertising & Marketing Agencies in the UK and the Top PPC Management Agencies in the UK for 2019 by Clutch. Online reviews are very positive and you can get a free PPC audit by visiting the PPC Geeks website. Yando is a small, agile team of digital marketing experts based in London. It provides SEO, PPC, retargeting and paid social for a comprehensive search and social strategy. With its no-nonsense approach, Yando says its mission is to make you more money. You won’t find any talk of designing great experiences, improving engagement or other marketing cliches on its website. Yando only talks about getting results and that means increasing your online revenue. You can analyse your website for free by visiting Yando’s website and typing in some basic details about your site. Circus PPC is an award-winning team of paid search specialists that creates bespoke strategies for each client, based on their individual needs. The company puts a heavy emphasis on mobile, as this is where most consumer journeys start, and it was quick to recognise the importance of Google Shopping campaigns for retailers. The agency has been a regular feature on the UK Search Awards shortlist in recent years and its a former winner of the Google Ready To Rock award. Circus works with SMEs and enterprise brands in B2B and B2C sectors across various industries – from finance to automotive and bingo. You can speak to its teams by calling either its London or Leeds office for more info about what Circus can do for you. Results are what matter most in PPC but the process is also important – especially when you’re hiring an agency to work on your behalf. Above all, you want to be confident you can trust your agency to get on with things so you can concentrate on your own workload. All of these agencies have a proven track record for getting results but they’re also recognised for the way they work with clients, as proven by their customer reviews and industry awards.